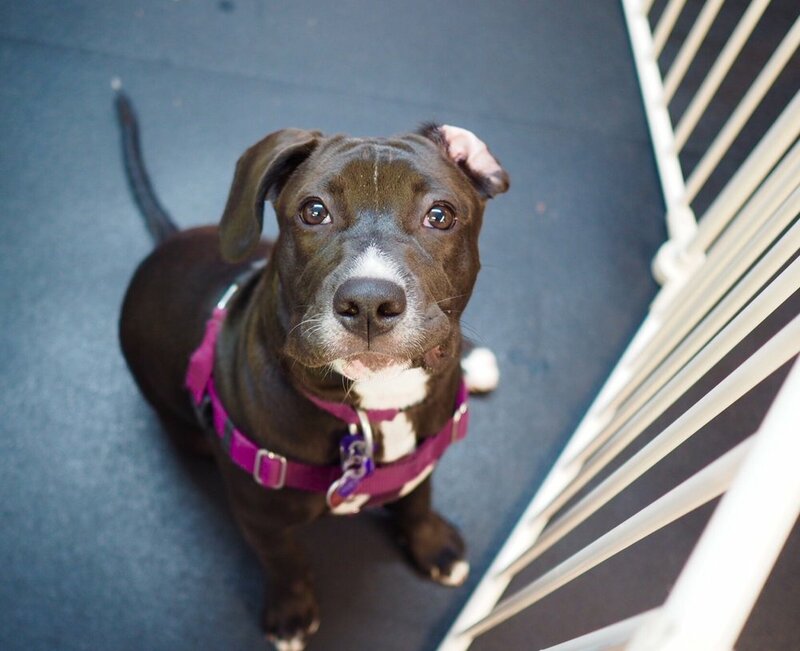 We use positive reinforcement plus management to set your puppy up for success in class. We show you how to apply what you learn in class to your everyday life at home with your pup. We give you the necessary tools and information, so you and your pup get to practice lots of great behavior starting with the first lesson. Our highly experienced trainers are supported by well-trained class assistants to make sure each puppy is having a good experience and learning at their own pace. We offer email support between classes for questions that can't wait until the next class. We give you a comprehensive training manual that includes everything we cover in class and more. For puppies between 10 and 20 weeks of age. Everything you and your puppy need to know to survive the early months in 6 one-hour sessions! Your pup will learn new behaviors while also taking his or her Puppy Essentials skills to the next level with more duration and higher levels of distraction. 6 one-hour sessions. To enter Manners 1 pups must have attended our Puppy Essentials or had a Private session with one of our trainers - email us for more information and to schedule a session if you haven't already had one. If the session is held at your home private rates apply, if you come to the training studio for a 3/4 hour session before the start of classes the cost is $50. Adding distractions to behaviors learned in Manners One, plus introduction to nose games & tricks training. Prerequisite for Manners Two is Manners One and/or trainer recommendation. Prerequisite for Manners Three is Manners Two and/or trainer recommendation. Please write to us if you are interested and we will contact you to invite you to join the next Manners 2 or 3 classes! Please write to us if you are interested and we will contact you to invite you to join the next offerings.